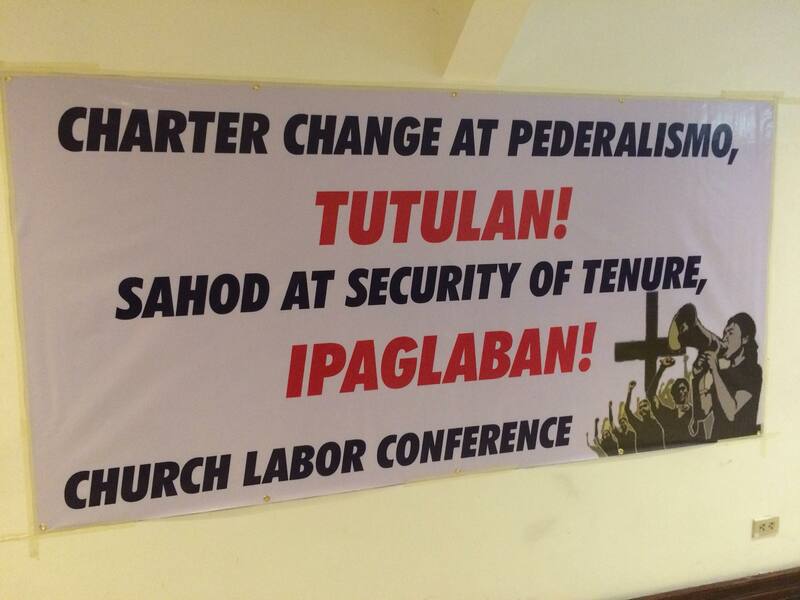 Manila, Philippines — “We will continue the struggle… we will fight for workers right!” This is the message of the Church Labor Conference (CLC) during their recently concluded general assembly (16 July 2018) in the Arzopispado, Intramuros, Manila. CLC will be celebrating its 10th year this November with the theme “Isang Dekadang Pagsamba at Pakikibala para sa Uring Manggagawa” and continue it’s struggle for the workers. 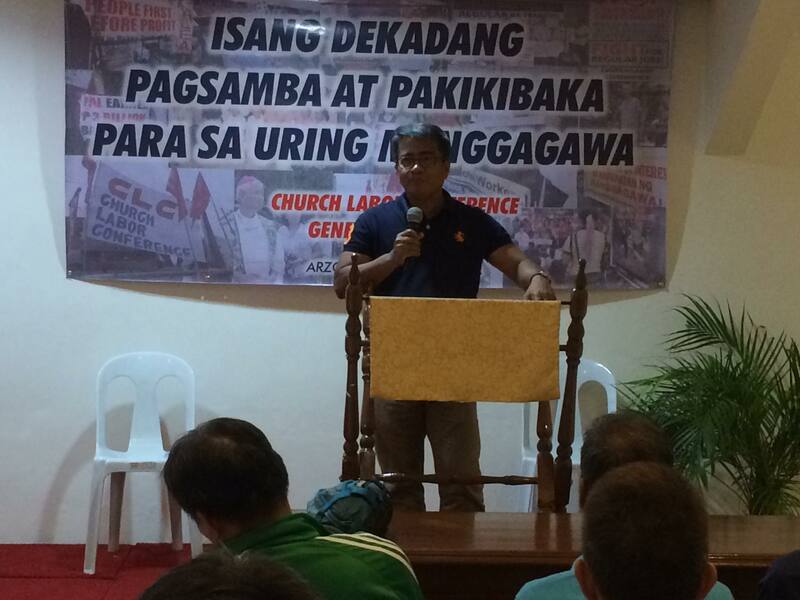 Discussed during the assembly are issues that are directly affecting the workers and the Filipinos, updates on the struggle on contractualization, wages hike, Tax Reform for Acceleration and Inclusion (TRAIN) Law, Charter Change (Cha-cha) and the Federalism form of government being pushed through in the 2 years of the Duterte administration. Among the invited resource persons that provided insight on issues affecting the workers were Rene Magtubo, Partido Manggagawa (PM) Chairman with CLC co-Chair Bishop Broderick Pabillo and Elmer Labog of Kilusang Mayo Uno (KMU). CLC will continue its advocacy with the workers by engaging the passage of the Security Of Tenure (SOT) and the living wages. And will fight against Charter change of which CLC believe will not improve the living conditions of workers and would further give power to political dynasties once the federal form of government has been ratified. He further averred that there are only 2 progressive existing constitution in the world this 1987 Philippine Constitution and the South African Constitution, all have been enacted from the people’s struggle against dictatorship and apartheid respectively. 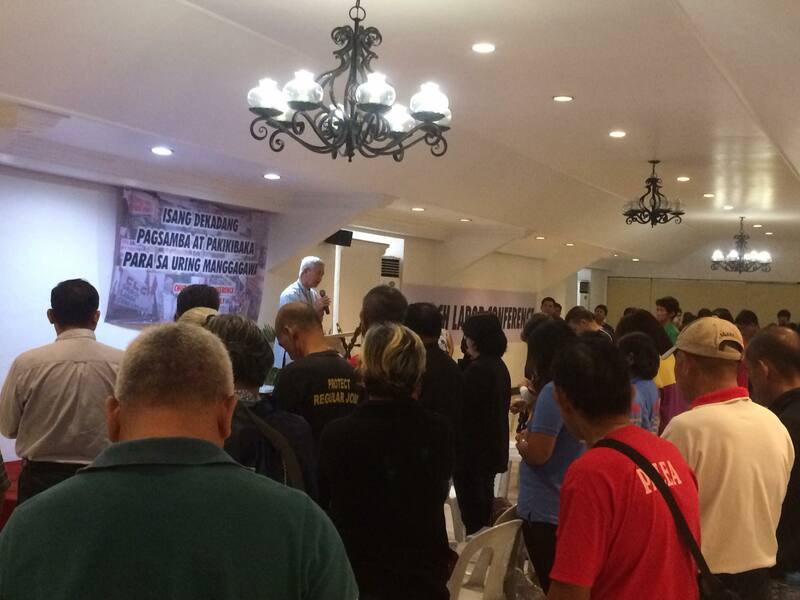 DND nagsagawa ng disaster training sa mga kababaihan! Social media bagong armas ng mga manggagawa!